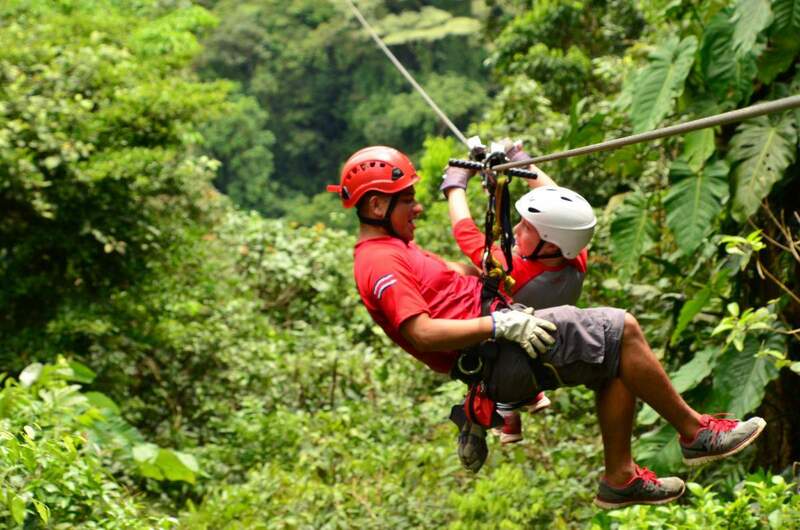 Costa Rica is a gem of a destination for family travelers. This Central American country offers adventures for all ages from its beautiful beaches, to lush forests, wild rivers, and animal sightings. At times, it can feel the country offers TOO may opportunities for exploration, so it’s important to narrow down the “must see” list. 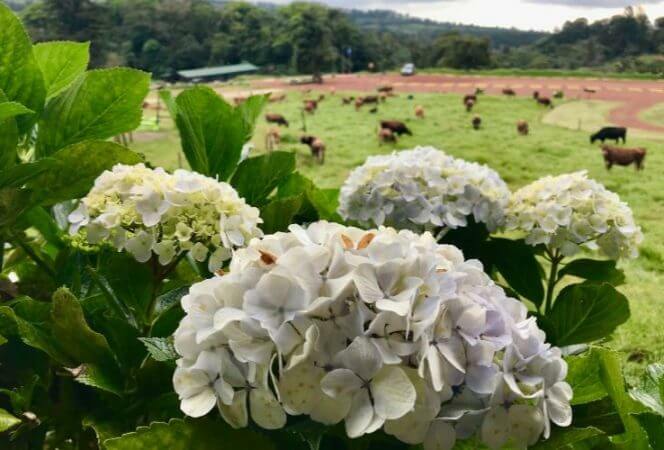 Here are our suggestions for what not to miss in Costa Rica with kids and if you’re looking for the adult version, check out our Travelocity post: 7 Mind Blowing Experiences You Must Have in Costa Rica. *This post contains affiliate links which means we may receive a small commission on any purchases made. As always, opinions are 100% our own. The Costa Rican rainforest offers majestic scenery from below, but it is equally impressive from above. It’s easy to find a place to zip line, because they seem to be all over the country. Look for canopy tours in Arenal, Jaco, Monteverde, Guanacaste, and Manuel Antonio. We had a great experience with Sky Adventures in Arenal, which included 7 zip lines in just under two hours. The scenery is breathtaking, and the guides were amazing with our kids. Volcán Irazú lies 50km from San José, making it perfect for a day trip. Irazú Volcano National Park is the most visited National Park in Costa Rica and visitors can explore the area via a hiking trail without a guide. 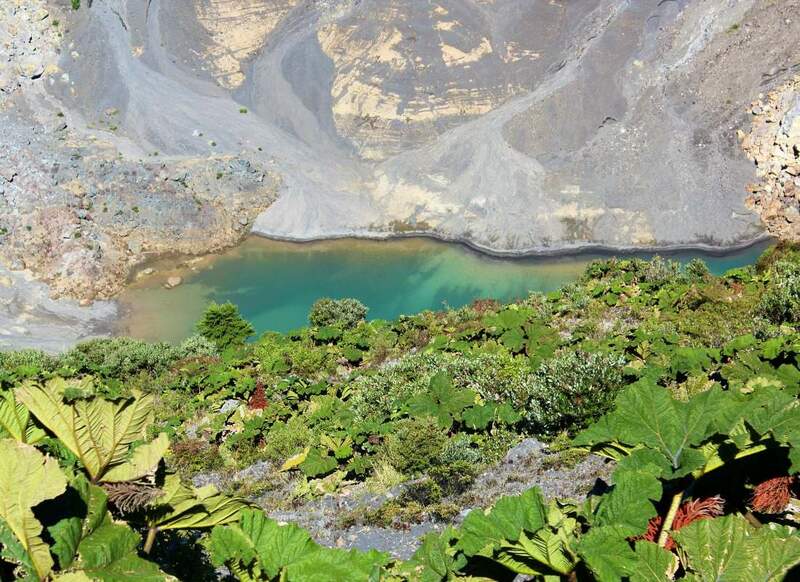 The main attraction is the Diego de la Haya crater with its bright green lake, and the summit of the volcano is over 11,000 feet. If you go, expect a challenging hike, and bring layers, it can get cold at this altitude. For a longer hike, consider Las Pailas Trail at Rincón de La Vieja volcano. The volcano, Rincón de La Vieja rises 6200 ft above the jungle floor and visitors can take a 2.5 mile hike to see the boiling hot springs and bubbling mud pots. Kids will love this and everyone is kept a safe distance from the volcanic activity. The white water rafting options in Costa Rica are plentiful, so know what class of rapids you will encounter before signing up for a tour. 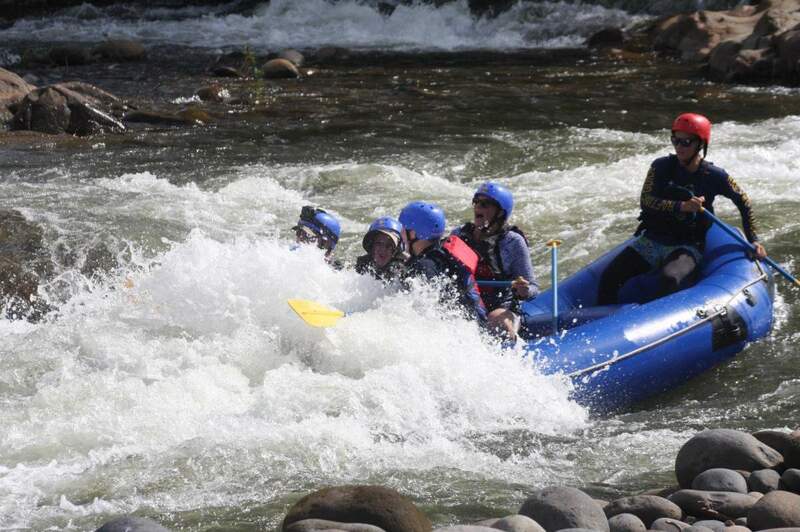 Some tours offer kayaks and rafts, I recommend rafts for families with an experienced guide. Rivers come in all sizes, so consider Penas Blancas and Rio Balsa if you have younger children. The Pacuare and Sarapiquí rivers are class III-IV rapids, so consider this experience with older kids who can paddle and stay in the raft. We loved the Sarapiquí river, but it was certainly rough in spots! River rafting on the Sarapiquí. Not for the faint of heart! Costa Rica has close to two hundred volcanic formations, so as a result, there are quite a few hot springs throughout the country. Many can be found near Arenal volcano. Adventurous families can find natural hot springs that are off the beaten path, just ask the locals for their recommendations. For those who prefer a sure thing, head to one of the thermal resorts. The Springs Resort, Tabacón, Ecotermales Hot Springs, and Baldi Hot Springs are all family friendly. Monteverde is a popular destination for visitors. 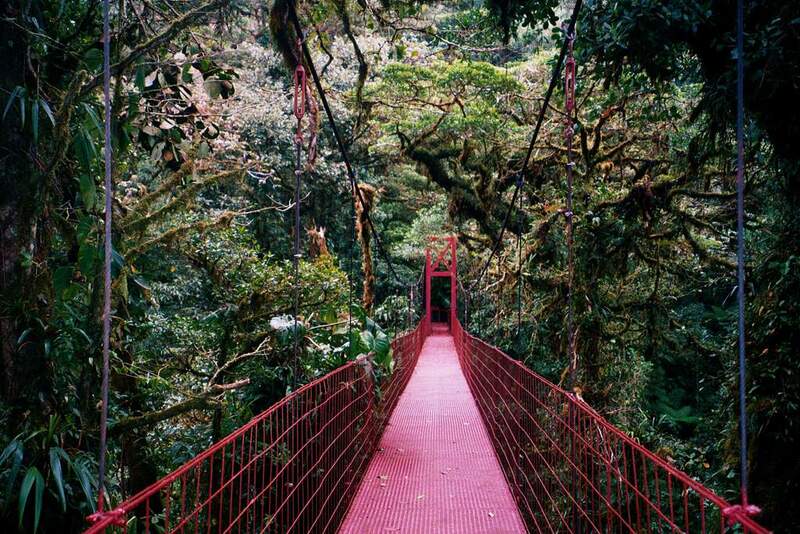 It is home to two cloud forest reserves: Santa Elena and Monteverde. Each one has unique vegetation and together there are over four hundred bird species. This is THE place to find unique orchids and the beautiful quetzal bird. Monteverde also has extreme zip lining and bungee jumping, as well as hanging bridges that span up to 500 feet in length and up to 180 feet above the floor of the forest. Consider booking a tour to make the most of the cloud forest experience. Costa Rica’s National Parks are a haven for animal lovers. Tortuguero National Park on the Caribbean side is home to howler monkeys, sloths, caymans, and macaws. The nearby beaches offer seasonal nesting tours to observe the sea turtles laying their eggs. Corcovado National Park on the Osa Peninsula is Costa Rica’s largest national park with over 100,000 acres of rainforest. It’s home to crocodiles, anteaters, pumas, and over 400 species of birds. All visitors to the park must have permits and a local tour guide. 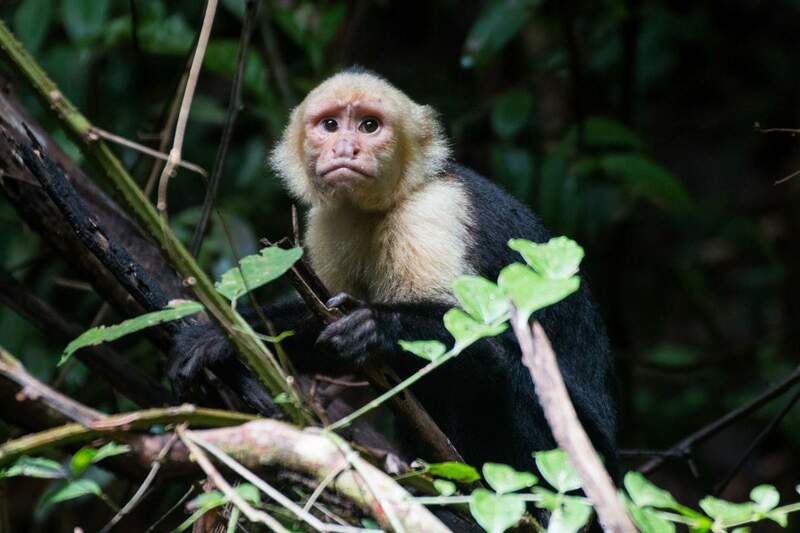 Manuel Antonio National Park on the Pacific side of Costa Rica is home to monkeys, iguanas, and toucans, and is a great spot for sloth sightings. The park also offers beautiful soft sand beaches that are made for relaxing and building sand castles. All of Costa Rica’s National Parks have amazing wildlife. Parents will love the stunning views and laid back vibe of this charming beach town. Known for its yoga retreats and fabulous sunsets, it’s also the perfect spot for surfing. There are several surf schools here because the water is quite calm, making it perfect for beginners of all ages. 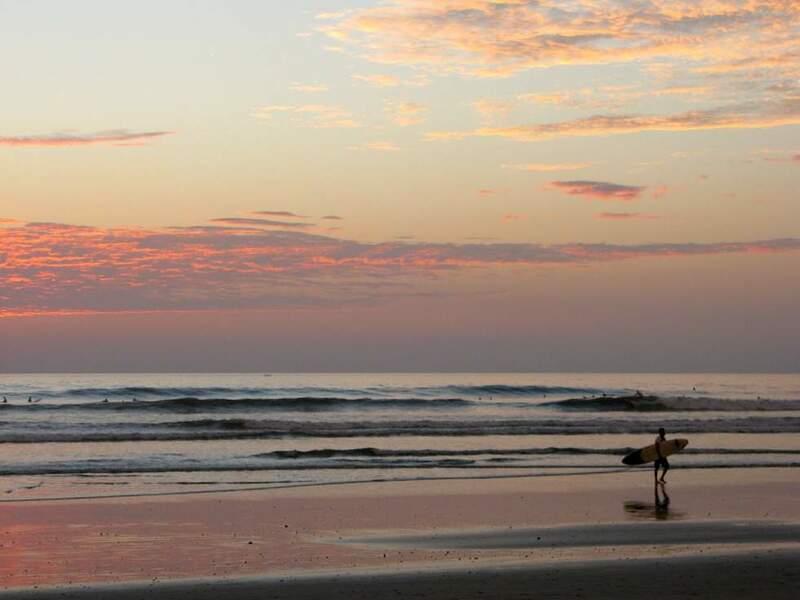 Nosara was named one of the top 20 surf towns by National Geographic, so if you’re looking for a place to relax near Guanacaste, this is the place to be. 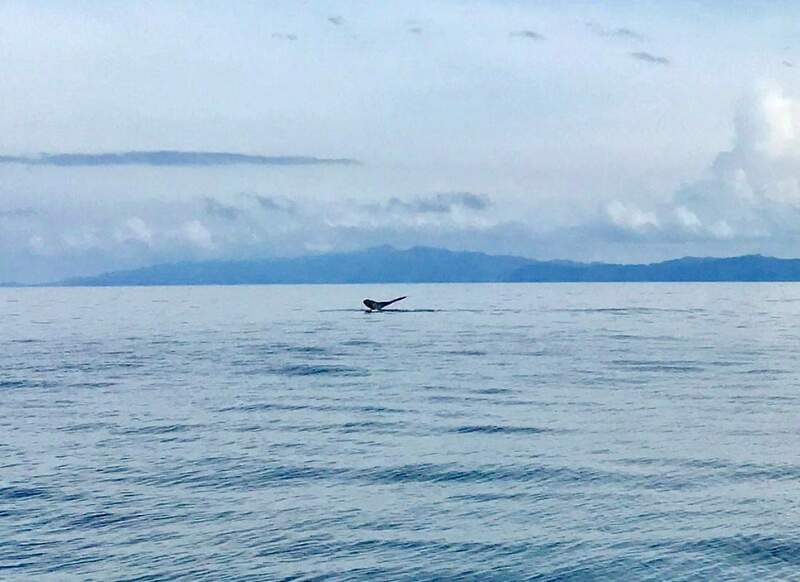 One of the unexpected benefits of staying on the Pacific side of Costa Rica is having access to some awesome whale watching. Humpback whales migrate through the Golfo de Papagayo from July to October. Bottlenose, spinner, and common dolphins can be seen all over the Pacific coast throughout the year. Some companies will have organized tours, but you might have just as much luck booking a snorkeling tour and having them show you the animals when they appear. Nothing beats seeing humpback whales in the wild! Marriott San Jose – if jet lag is an issue, or you just want to get your bearings before you set out to explore the rest of Costa Rica, consider staying at the Marriott San Jose. 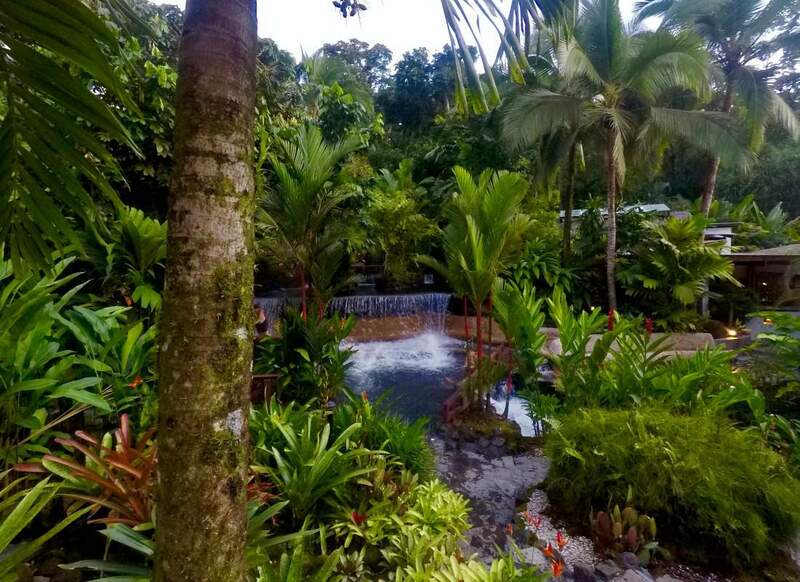 Set on a 30 acre coffee plantation, this property offers an airport shuttle, delicious food, beautiful pools, tennis, and fabulous spa. El Mangroove, Autograph Collection – El Mangroove occupies an ideal spot on the Golfo de Papagayo. The property offers a beautiful beach front, bike rentals, fabulous food, and a gorgeous pool area with sunset ocean views. The Springs Resort and Spa – The Springs is a luxury accommodation where every room has a view of Arenal Volcano. There are over 28 mineral hot springs on property and four restaurants. Guests have access to “Club Rio” and adventure outdoor center 1.5 km from the property that has kayaking, trail rides, rock climbing and rappelling, mountain biking, a wildlife preserve for rescued animals, and more. The Westin Golf Resort & Spa, Playa Conchal – This all-inclusive resort sits on a beautiful beach, is centrally located to several attractions and small towns, and has a spa for some relaxation time. Families will love the kids club, kayaking, snorkeling, and on-site tennis and golf. 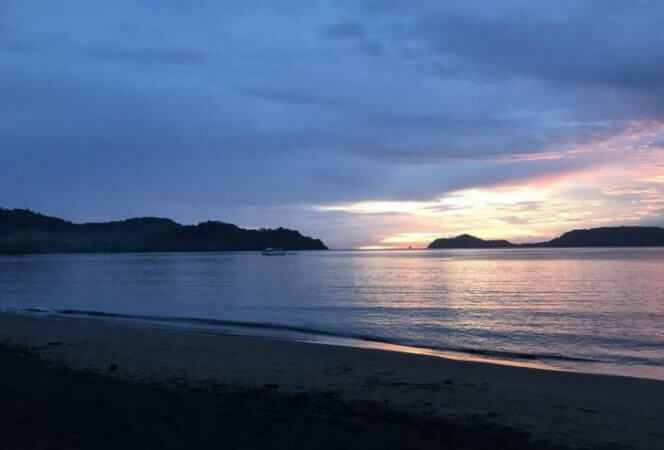 Arenas del Mar – A luxury beachfront property in Manuel Antonio that offers a private beachfront and personalized service. Families can enjoy two pools and two beaches, try a tortilla making class, or go out on boogie boards. Fun for everyone!